Head on over to Damian Shiels’s Irish in the American Civil War for this fine article on non-69th NYSM Irish-American soldiers at Bull Run. These other Sons of Erin, North and South, will also be discussed to some extent during the fourth Bull Runnings tour on May 11, In the Footsteps of the 69th NYSM at First Bull Run. This is really good stuff, and gives you a taste of how Damian works. Yes, you really do need to make it to this one. Head on over to Damian Shiels’s site and read about the efforts of the 69th NYSM officers to provide for the families of the fallen of First Bull Run. “This will be a great, great tour. Very strong. Very special. Other tours at other battlefields? Disasters. But this one will be huge. Believe me. Everyone agrees.” – Anonymous chief executive. The Regiment prays for good weather on May 11, 2019. Save the date: May 11, 2019. 9:00 AM. Manassas National Battlefield Park. Free tour. Will make a most excellent Mother’s Day gift. 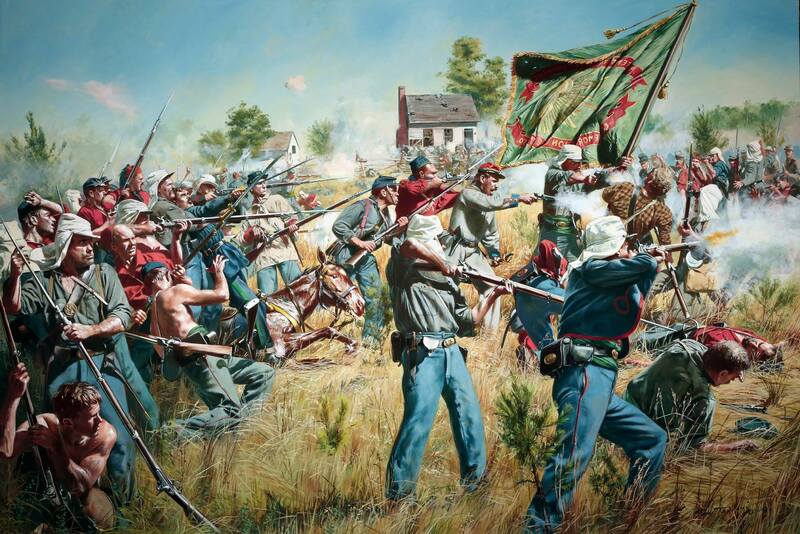 For this fourth Bull Runnings Battlefield Tour, we’ll follow in the footsteps of the Fighting Irishmen of Col. Michael Corcoran’s 69th New York State Militia at the First Battle of Bull Run on July 21, 1861. We’ll start at the Stone Bridge, make our way (by foot) to Henry House Hill, and then follow the regiment in retreat back to Bull Run. Out and back is a five-mile walk, but tourists can opt out at the halfway point (or anywhere else, for that matter). Harry Smeltzer – You already know me (if not check out the About Me link). Don’t let my last name fool you – mom was a Power. John J. Hennessy – Widely respected historian and battlefield guide, he is the author of First Battle of Manassas: An End to Innocence, and Return to Bull Run: The Campaign and Battle of Second Manassas. He guided the first ever Bull Runnings Battlefield Tour in 2016. Damian Shiels – Irishman, professional battlefield archaeologist, and host of the blog Irish in the American Civil War. He is the author of The Irish in the American Civil War and The Forgotten Irish: Irish Emigrant Experiences in America. Joseph Maghe – Civil War artifact collector extraordinaire, he has amassed a truly impressive array of artifacts, with a special focus on regiments with Irish/Irish American affiliations. As we traverse the field, your guides will share extracts from after action reports, personal correspondence, and memoirs of participants. We’ll also discuss the experiences of the soldiers’ families in New York and Ireland, and the backgrounds of the men. Along the way Mr. Maghe will have various artifacts with ties to the regiment to view. Logistics: This is a free tour. Everything is on your own: transportation, lodging, meals. We’ll break for lunch, probably at the visitor’s center, so you’ll probably want to carry your meal or have it waiting in a vehicle there in the parking lot. Dress for the weather. Tour will be rain or shine, barring flood waters. There are no formal plans for apres-tour, but The Winery at Bull Run is a pretty neat place, and I’ll give updates about whether or not it’s going to be open. Keep an eye out here and on the Facebook Event Page for updates, handouts, and other news. 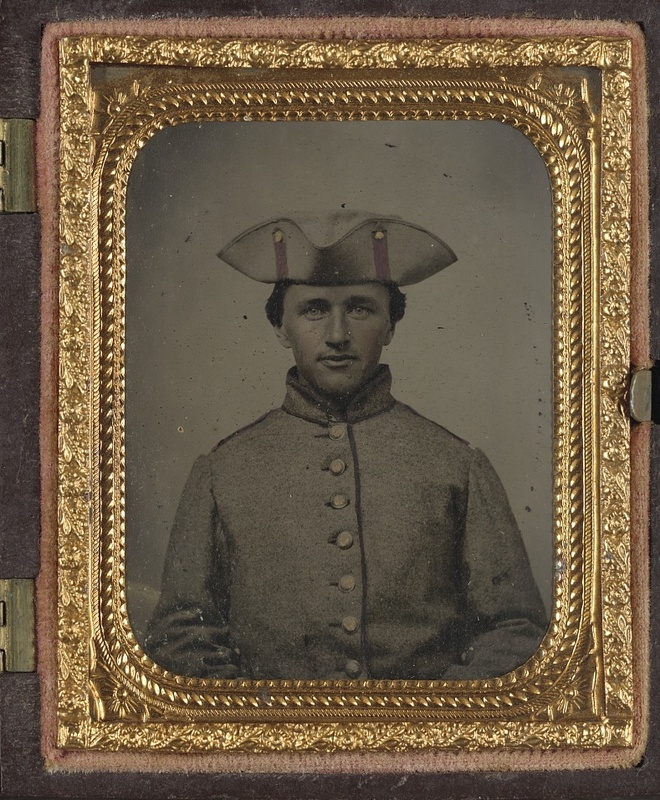 This is not a strict narrative account of the history of Irish-American soldiers. Rather the book’s 229 pages of text is divided into sections: Beginnings; Realities; The Wider War; and Aftermath. Each section includes “six true stories of gallantry, sacrifice and bravery,” including good personal accounts of First Bull Run. Sources include a lot of well-known secondary sources, but the use of newspapers and pension files is Shiels’s real strength. 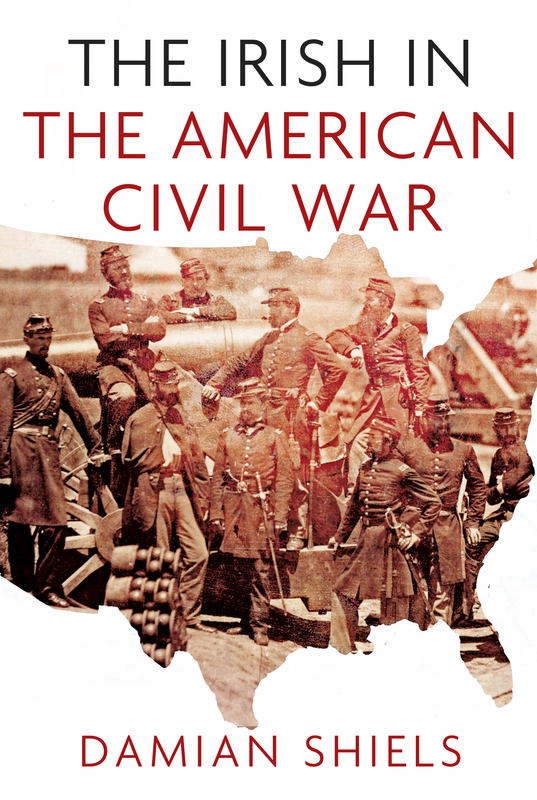 If you’re interested in a different perspective on a well-worn topic, I think it’s worth your while to give The Irish in the American Civil War a tumble.